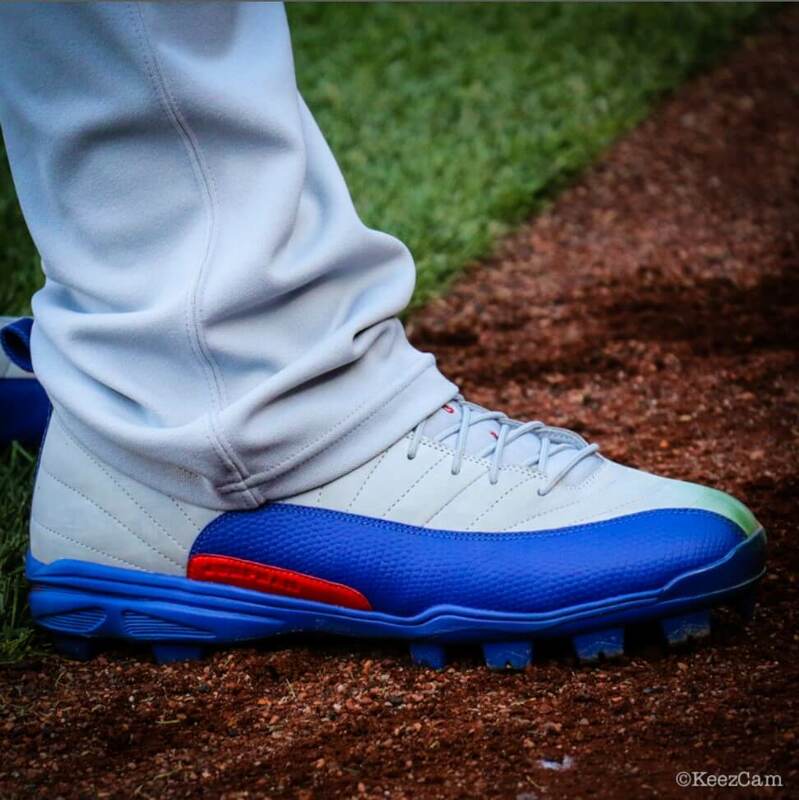 Love these MCS cleats by Jansen. This is the first time I’ve seen MCS cleats on field and I absolutely love. You can’t get these in Jansen’s custom colorway, but you can buy Dodger Blue Jordan 12 MCS cleats at the link. Categories: Kenley Jansen, Gear, Cleats, Los Angeles Dodgers, Pitcher.